Varun Dhawan reportedly had an unpleasant experience after he apparently refused to meet a female fan, said a Filmfare report. As per the report, a female fan hovered around Varun's residence for hours sometime this weekend in the hope of meeting Varun. But following a hectic schedule of Kalank promotions, the 31-year-old actor avoided stepping out to meet the fan. 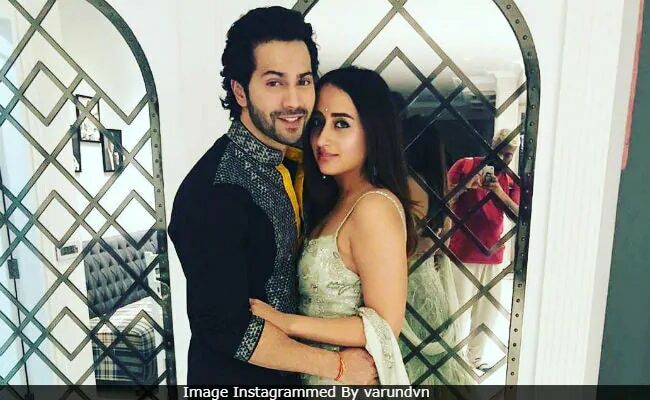 This irked the female fan, who reportedly threatened to hurt Varun's girlfriend Natasha Dalal. "There was a female fan, who was doing the rounds of his house for a long time. Varun sir usually obliges their selfie requests, if he is available. She was waiting for a couple of hours. Sir came late and she was insisting that she meet him then and there. He was pretty tired from the day's work and wanted to rest," Filmfare quoted the security team as saying. "She refused to leave and got into a squabble. Initially, she said she will hurt herself. When she was still not able to get through to Varun sir, she threw a fit. She kept mumbling how she will harm Natasha ma'am," the security personnel added, reported Filmfare. Filmfare also reported that the fan refused to leave from outside Varun's residence till the local police was informed: "It was alarming for us because usually, fans don't get so aggressive. We informed Varun sir, who panicked. She kept saying, 'I will kill Natasha.' After the woman refused to leave even after 45 minutes, we had to call the local police station." On Koffee With Karan's last season, Varun Dhawan revealed he's dating Natasha Dalal, who is a designer. "I am dating her and we are a couple," he told Karan Johar and added: "I plan to marry her." The was the first time Varun Dhawan confirmed he and Natasha are together. Earlier, he had only shared a few loved-up Instagram posts featuring Natasha. On the work front, Varun Dhawan will next be seen in Abhishek Varman's Kalank, which releases on April 17. Varun Dhawan also has Street Dancer - the third ABCD film - in the line-up.